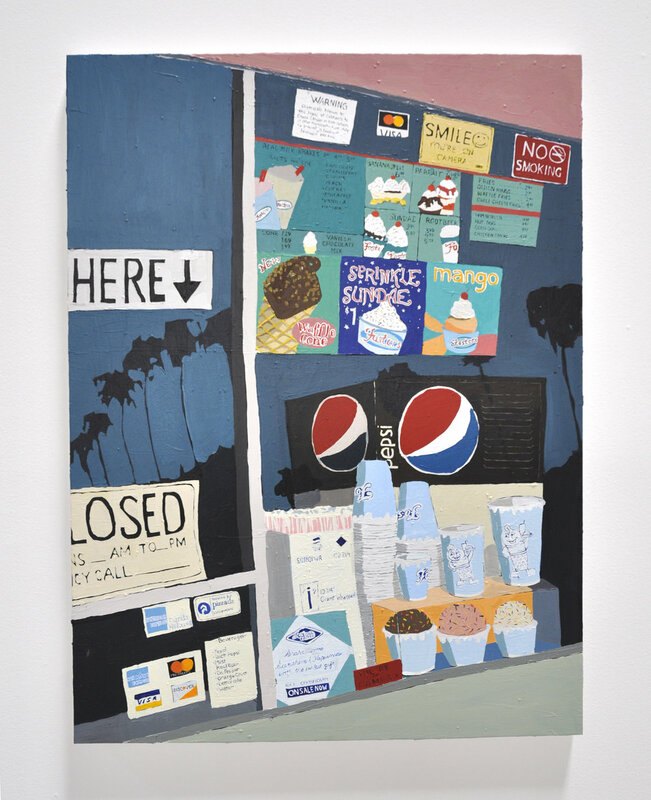 Hilary Pecis has exhibited across the United States, including recent exhibitions at Rachel Uffner (New York, NY); Halsey McKay Gallery (East Hampton, NY); Josh Liner Gallery (New York, NY); The Pit (Los Angeles, CA); 0.0 Gallery (Los Angeles, CA); Galerie Drost (Paris, FR) and V1 (Copenhagen, Denmark). In San Francisco, Pecis’ work has shown at Guerrero Gallery, Gallery 16, Luggage Store, Catherine Clark and Southern Exposure. Pecis was the recipient of the Murphy and Cadogan Fellowship in 2008 from the SF Arts Commission. Hilary received her MFA from California College of the Arts in San Francisco, and lives and works in Los Angeles, CA. –From the Paradigm Shift, Receiver Gallery, San Francisco, CA, September 2008. - I ️ Paint, curated by Kim Dorland, Patel Gallery, Ontario, Canada, April 2019. –Cut and Paste, Tag Art Gallery, Nashville, TN, March, 2007. -Art Ltd. Hilary Pecis: â€œIntricacies of Phantom Contentâ€ at Triple Base Gallery, ChÃ©rie Louise Turner, September, 2009. -7×7, Hard-Boiled Wonderland: The Candy-Colored Kaleidoscopes Of Hilary Pecis, Kimberly Chun, June, 05, 2009.